Veteran fencers come in a variety of forms. They can be fencers who didn’t start fencing until they were adults, or they can be fencers who started when they were younger and never stopped. There’s also that middle ground of veteran fencers who fenced when they were younger, took a break, and then came back to the sport. Adult fencers are marvelous to work with. What they bring to the strip is wholly different from what youth fencers bring, and they can teach us a whole pantheon of things about fencing that are both valuable and pertinent. What’s really cool is that there are opportunities for youth fencers to practice with veteran fencers thanks to open fencing nights. Though fencing is generally much more structured during classes and in private lesson, open fencing offers fencers of all ages and skill levels to work with one another, learning and exploring. During open fencing, we very much love to see young fencers working with veteran fencers! There are so many reasons that this kind of matchup is a positive one. Though every fencer is an individual, there are some general characteristics that veteran fencers share. The bottom line, the thing that we just can’t avoid, is that our bodies do slow down and change with age. Veteran fencers have a speed that’s different, and they also have different demands on their stamina. This is something that very much sets veteran fencers apart from their younger fencing partners. What we need to realize is that because their bodies are moving a little slower doesn’t mean that veteran fencers aren’t just as good on the strip. Physical prowess is not even close to being the thing that fencers need most in order to be successful. What they lack in physical ability, veteran fencers make up for in spades with mental clarity. Veteran fencers tend to be more experienced than their younger counterparts. That means that they know how to recognize the patterns and mistakes much more easily, and then to go on and exploit those opportunities. A veteran fencer will use your speed against you. They’ll use your inexperience against you. A veteran fencer will work harder than you do with more focus. A veteran fencer will recognize when they need to take breaks and they’ll best you every time with their willpower and mental stamina. Whatever physical deficits young fencers might imagine their older counterparts have are well made up for in the veteran fencer’s mental character, experience and grit. A veteran fencer will not only see your mistake, but they will turn it on its head and find some way to teach you a lesson with it! Young fencers can learn so much by fencing with veteran fencers. That’s not only veterans who have been fencing for decades, but also veterans who are newer to the sport. 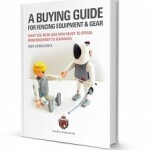 No matter what the skill level of a veteran fencer, young fencers can learn from them. Long time fencers who have stuck with the sport to become veterans do offer young fencers a wealth of experience and understanding that is priceless. When a person has been holding a fencing sword for twenty or thirty years, they have an understanding of the mechanics and mental game of fencing that goes deep down into their bodies. Knowing how to fence because you’ve been taking lessons for a few years is very different than “knowing how to fence” when you’ve been competing for decades. Fencing with a veteran fencer is fundamentally different than fencing with a youth fencer! And it’s utterly fantastic. Open fencing programs offer fencers across age categories to get experience with one another, and it’s something that we highly encourage our fencers to do. There is a spirit in veteran fencers that’s utterly fantastic! As young people, there’s a lot of pressure and expectation for extra-curricular activities. It’s almost like it’s mandated that young people do some kind of sport or activity. When we become adults, fitting in time for an extracurricular activity becomes much more of a challenge given the demands of work and family. Veteran fencers choose to be training in a way that younger fencers often don’t. Adults have all kinds of choices in what they do with their time, so for them to choose to use their precious free time fencing is truly remarkable and speaks to their passion for it. This is really the great thing about veteran fencers. They are here in the sport because THEY LOVE IT! They aren’t gunning for the Olympics or hunting down a scholarship. Adult fencers are here simply because they have a deep love of the sport in their hearts. Because of that love of the sport, they truly love to watch others grow and to help them achieve their fencing aspirations. If you get bested by a veteran fencer on the strip, don’t be shy – ask them how they did it! Ask them what your mistakes were and what you could have done differently. Most veteran fencers are more than happy to explain to you what just happened, and how they exploited opportunities to score touches against you. Veterans tend to not have any skin in the game about who wins or who loses, they only want to come out and enjoy the fencing for the simple pleasure of doing it. The victory is not the point, it’s the process of getting to that victory. Veteran fencers have a spirit about them that is truly outstanding and something to be cherished. Younger fencers also bring something marvelous to the plate. Youth, energy, speed, enthusiasm, etc. – these are all traits that are very much valued and needed on the strip. Veterans tend to highly enjoy fencing against youth fencers for this precise reason! They recognize how much they can glean from the interaction with younger opponents. 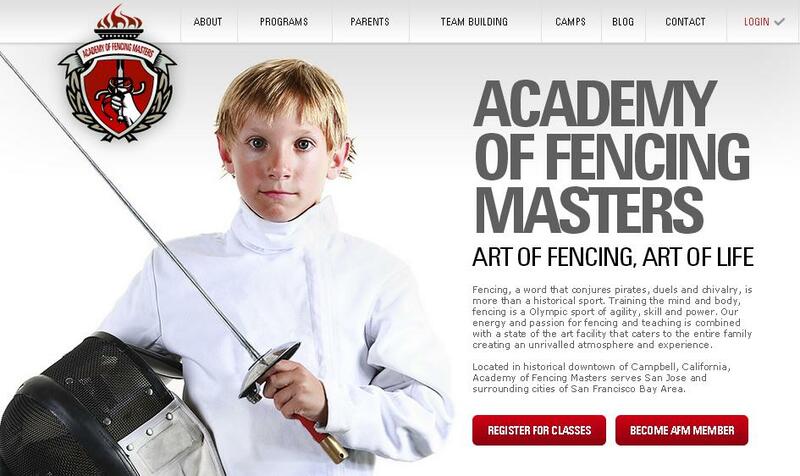 They love to fence with young fencers, even if their skills and smarts aren’t a match just yet. This is one case where there is truly a mutual benefit to be had for both the veteran fencer and the young person. There are no losers in fencing with a veteran fencer! Everyone wins, no matter who might get the most points. The thing that everyone should remember is that fencing is about personal growth, changing our mindset, camaraderie, and FUN! Adult fencers bring a great deal of all of these to the strip with their maturity. Let’s keep in mind that for half or more of our lifetime we’ll be considered a veteran fencer! Think about that – if you started off fencing when you were ten years old, you’ll be fencing as a youth and adult for thirty years. When you turn 40, you’ll then be considered a veteran fencer. Many adult fencers keep on going until their seventies, as fencing is such a wonderful form of exercise (it’s great for the mind too!). You could very easily spend more time as a veteran than in any other age category, particularly if you had a late start in fencing. This is a long game in fencing. We’d love to see more of our adults have support to stick with fencing as they are veterans, because we really believe in the importance of physical and mental fitness that fencing can bring to the lives of people, no matter what age they are. We highly encourage everyone to go out and find an open fencing time at your club so that you can get more time on the strip with people of varied ages. A teenage fencer going up against a veteran in their fifties is a fun match to watch and to participate! How about a twenty something fencer against someone in their forties? No matter who you are fencing, age is very much just a number. Veteran fencers bring everything you could ever want in an opponent right to you. And they can teach young fencers a lot about the long game of fencing and the long game of life. Why Do Fencers Sometimes Perform Better in Practice than in Competition?